Got a spacious room or terrace you can spare? This theatre troupe can turn it into a stage for their latest production! A full-fledged play without a stage? How is that even possible, you ask? Let us introduce you to Swabhav. Their latest production ‘Raakhe Nodi Maare Ke’ has already had 12 shows, but none of them were in auditoriums! They ditched the auditoriums and let the common people host them- in their terraces, community halls, shelter homes, missionary houses, schools, and the likes. And no, it’s not the kind of street play you might have seen in Nandan- although it’s as mobile and fluid as one, it has sets, costumes, and scripts almost like proscenium theatre. Think of it as a very smart hybrid of the two. So how you watch it, you wonder? Become a host! 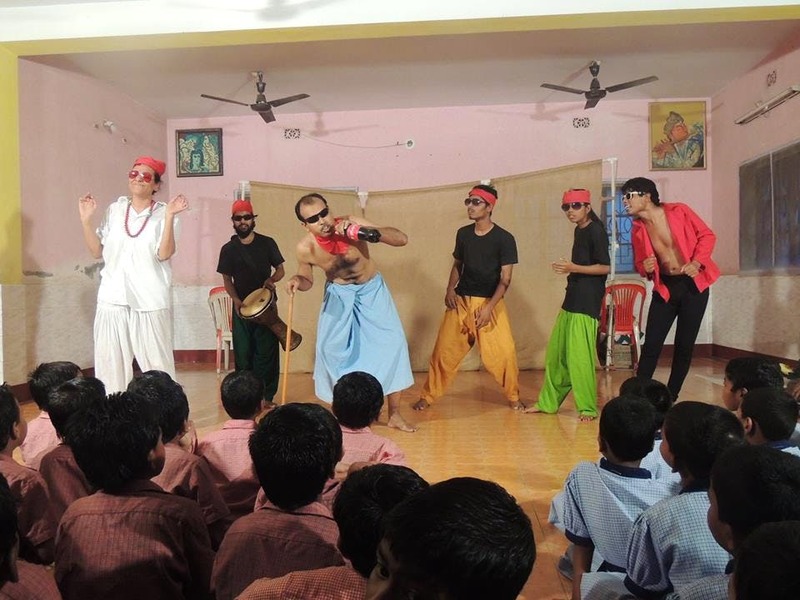 They are looking for community spaces all across Bengal where they can perform. So if you have a space that is minimum 20ft by 20ft in dimension, and can arrange for halogen lights for the performance space, you and your friends, neighbours, students, and co-workers can witness a really new kind of theatre. Children or adults, rural or urban – this play suits everyone, from all kinds of backgrounds. Here’s how can you host Swabhav’s play’ at your space. Just call up Vartika Poddar at 9830032014. In terms of cost, all you need to bear are the travel, food and accommodation expenses for their 8 to 10 team members, and their nominal production costs. In exchange, not only will you be able to host a full-fledged theatrical production for your community, you will also be contributing to spreading awareness about our environment! So what is Raakhe Nodi Maare Ke about? The issue of water mismanagement, but told to you in the wittiest way ever. They show the life-story of a river that gets stolen from a forest and is forced to pass through dams and, pipelines, only to end up inside plastic packaged water bottles. So not only does the play tell a story, it makes a comment on the environment too. Rad, right?